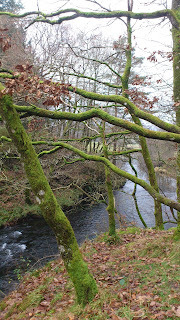 Walks Around Britain's blog: Getting Around the Lakes. Is sustainable transport really an option? Getting Around the Lakes. Is sustainable transport really an option? 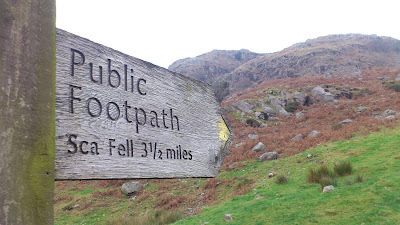 I’m in the Lake District for a few days… which often happens as a connoisseur of fine landscapes and excellent walking. But this trip is a little different. Sure, there have been a few walks, one of which I filmed, and I have caught up on my latest landscape viewing, but intrinsically I’m here now for a different purpose. There’s a fundamental paradox with walking. In order to go walking in new and exciting areas, we often travel by car. 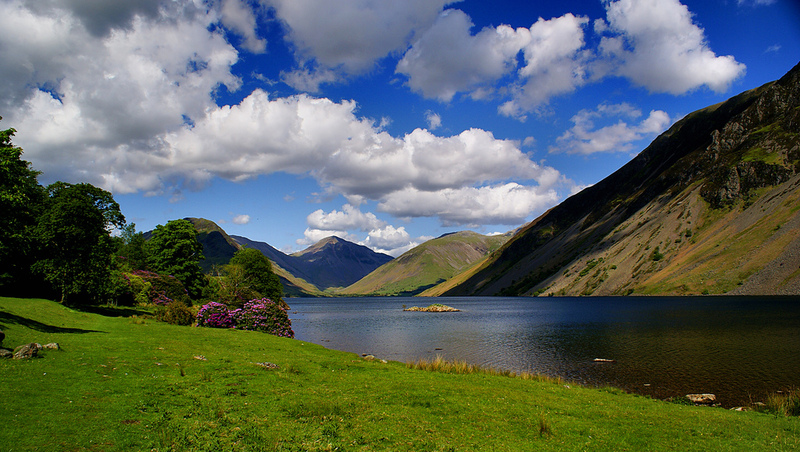 In fact 87% off visitors to the Lake District make their journey by car. Ok, so there is a fairly good train service to the outskirts of the Lake District via Virgin Trains to Oxenholme – and you can even change trains at Oxenholme to First Trans Pennine Express to take you to the heart of the central Lakes at Windermere. for your trip. 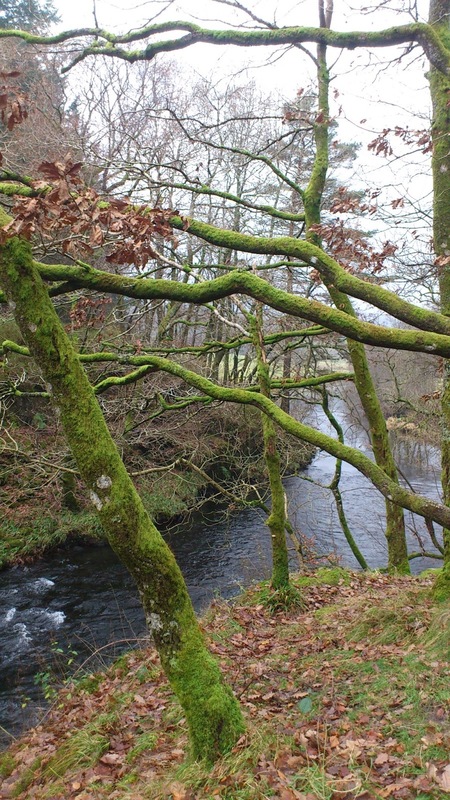 The fantastic High Biggin holiday home from the Beech Hill Hotel is 2.1 miles away and the great self-catering Windermere Lodges are 3.3 miles away at Troutbeck – both of which are great walking distances, but really not with suitcases and all the accoutrements of a holiday. And of course, when you are here, you need to get around. With 885 square miles to explore in the Lake District alone, and 2,613 square miles in the wider Cumbrian county, where you want to go might not be within walking distance. So that pretty much ensures you are maintaining that 87% figure of car journeys to the Lakes. Well, the people behind Go Lakes Travel are trying to change that. Go Lakes Travel is a £6.9 million initiative, funded by the Department of Transport, and being delivered in partnership by Cumbria County Council, the Lake District National Park Authority and Cumbria Tourism – and between 2011 and 2015 it aims to generate a step-change in how visitors travel to and around the Central and Southern Lake District, enabling them to make greater use of sustainable modes of travel. Well, the scheme has put several initiatives in places, from making paying for, and changing between different modes of travel easier using smart tickets to targeting information designed to change visitors' travel behaviour to/from and around the Lakes. But the most interesting parts of the scheme for us walkers is the development of safe, continuous networks for walking, cycling and wheelchair users and the improvements to public transport services and traffic management to tackle congestion and reduce delays. So when Go Lakes Travel asked if I’d like to try out the pay-as-you-go car and cycle hire fleets, I said “of course”… which is why I’m in the Lakes now. I've travelled up to the Lake District by car – simply because I didn't have the 4 hours it takes on the train to get from Doncaster – and because I had all the camera and podcast recording gear to bring too. But if you do travel to the Lakes by train you can now hire a special Mini Clubman direct from next door to Windermere Station. 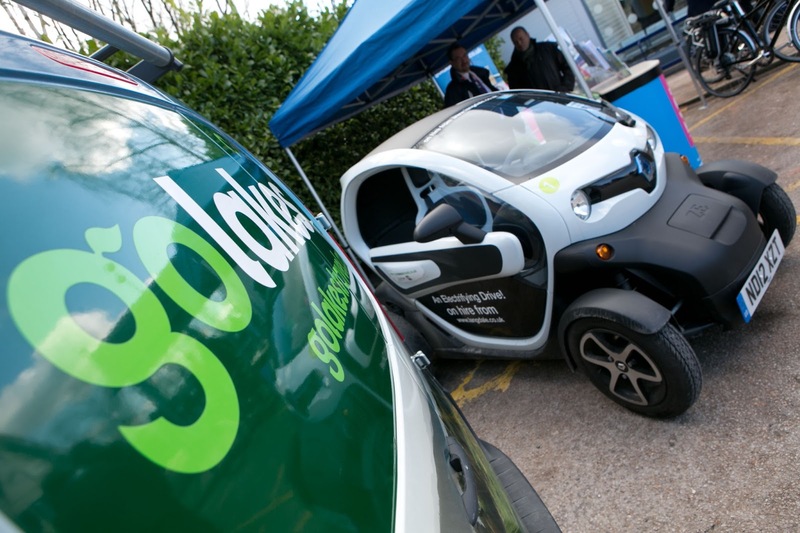 This low-emission car is intended to get you around the Lakes in a sustainable manner. It works by first signing up as a member to Co-wheels before your trip. Then you can book the car online or over the phone. Once in the Lakes, you hold a special smartcard over the reader on the car and it’s yours for the duration of your booking. At the end, you simply drop the car back into its bay at Windermere and Co-wheels send you a bill covering your hire. Sounds good, but what does that cost? Well, it’s £4.50 an hour plus 21p a mile for insurance cover and fuel, and there’s special discounted rates for longer hires – a weekend from 6pm Friday to 8am Monday is £70 for example. Plus the 21p a mile of course. But that’s not the only way of getting around on this project… how about an electric bike? Electric bikes are badly named. Most people have an image of a bike whereby you don’t have to pedal… rather like an electric version of a Vespa. They of course aren’t that at all. Their proper name should be electrically-assisted bikes. They are by all accounts a standard bicycle with a motor and hefty batteries on the back. This means you still have to pedal to propel yourself along, but switch on the electric motor and you get a power boost to help you on your way. Using the controls at the front of the bike, you can adjust the amount of boost you require, so you can regular your use of the batteries throughout your journey. 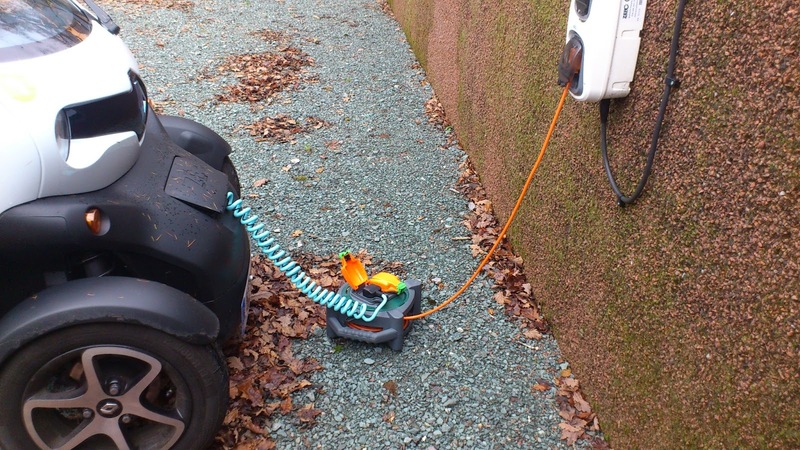 There are 17 electric bike hire places across the Central Lakes, and even more charging points – more than 30 at the last count – so it’s very possible to combine a meal or a stay around a place for a while whilst charging those bike batteries up. There is even a new dedicated Bike Bus – the 800 - with space for up to 12 bikes, and there’s space on several other bus services across the Central Lakes for up to 2 bikes per bus. And just launched this year is a new Bike Boat from Windermere Lake Cruises between Brockhole, the Lake District Visitor Centre and Wray Jetty on the West Shore of Lake Windermere. These electric bikes are actually a really good for us walkers, as they allow you to get to great walking areas otherwise inaccessible by motor vehicles, without starting that walk feeling knackered by a 10 mile bike ride first. The costs are around £35 a day – and the bikes come equipped with built-in lights, locks, helmets, bags and maps. And at the moment, there’s an offer for 20% off cycle hire if you travel to the Lakes by train. 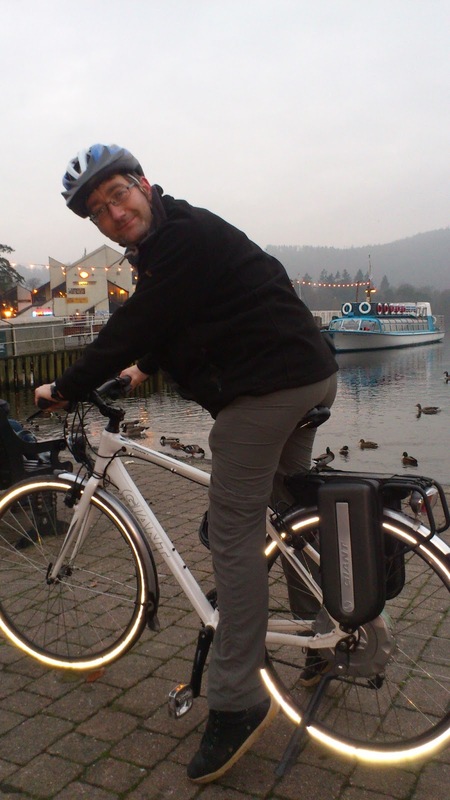 But the Mini and the electric bikes aren't the only modes of transport you can hire in the Lakes as part of the project. 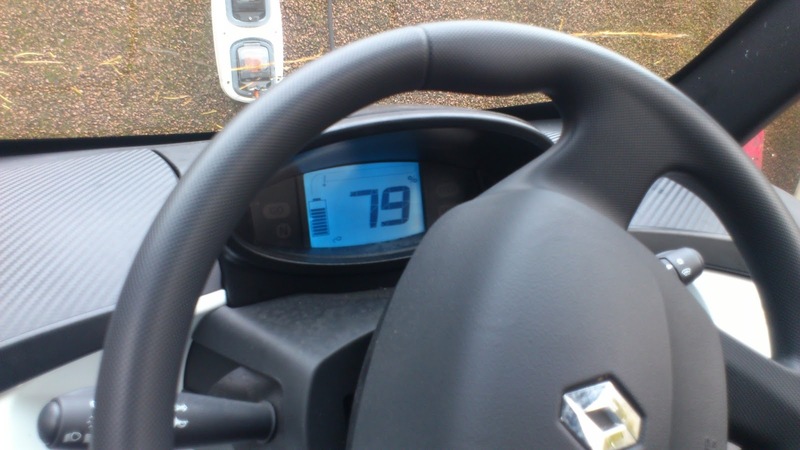 Oh no… you mustn't forget the Renault Twizy. 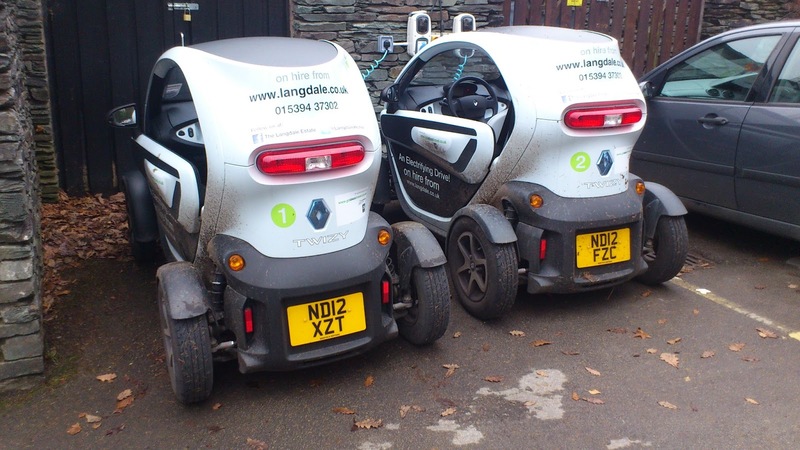 Twizys are small, two-seater electric cars which are available to hire on an hourly basis from The Langdale Hotel and the Coniston Boating Centre. Now, at first glance, you might not think these are a serious form of transport around the Lakes… Well, just look… they don’t have side windows; they have a top speed of around 40mph and they are electric and therefore have a limited range. Surely driving one of these would leave you sopping wet, with a trail of impatient regular car drivers honking their horns behind you and then you’d run out of power in the middle of the Kirkstone Pass. Well, you might think so, and if you aren't smart, this is what could happen. 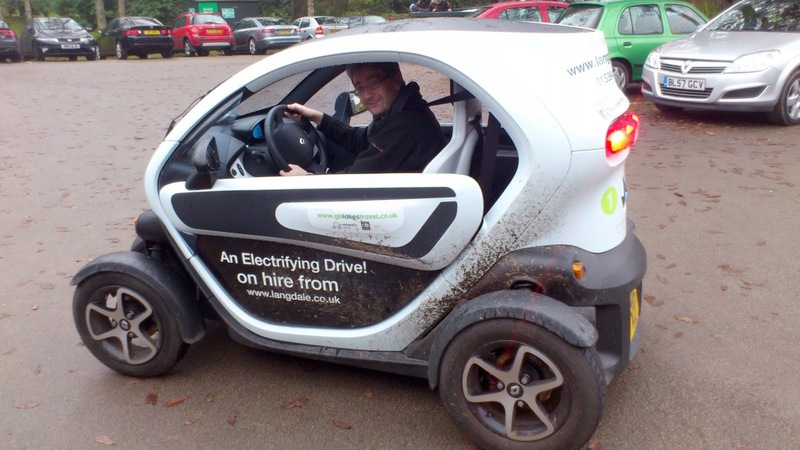 I took one out for a whole day, and I can tell you that unless you are in a serious storm, the design of the Twizy is quite good at stopping the 2 occupants – one behind the other – from getting quite wet. Even spare from the road is limited. And let’s face it, if you are in the Lakes in the wet, you’ll have proper waterproofs anyway. The biggest issue of course is “range anxiety” – will you run out of juice whilst in the middle of no-where. Well, the Twizys have a stated range of 62 miles - which is actually very usable in the Lakes. 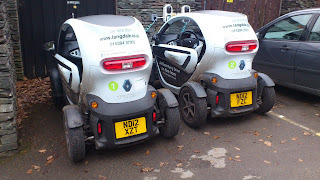 A trip from Troutbeck to Keswick for example is a round trip of around 43 miles – so the range of the Twizy is quite suitable. And if you are running a tad low of power, then you can always charge the car up at one of the several charging points across the central belt. You can take a trip on the Ravenglass and Eskdale Railway to the coast whilst your Twizy charges up at Dalegarth station. Twizys are fantastically engaging cars. Perhaps not the most practical and certainly not the answer to Britain’s long distance car culture… but they are definitely one thing – fun. Just driving one without any real destination will bring a smile to your face. And for that, they are worth the £10 an hour hire charge alone. So all told, it is much more feasible to visit and travel around the Lakes without your own car… but it will cost you to be more sustainable and green in your travelling. For instance, a couple travelling up to the Lake District by car from London for that weekend walking break would cost around £120. So, with some running around the Lakes let’s say total cost by car is £160. 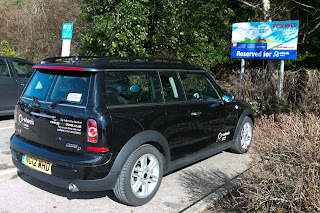 By train, to travel to Windermere would cost £194 return for two people, and then there’s the £70 hire cost for the Mini Clubman. Plus that 21p a mile. So, in excess of £264 by train and Mini as opposed to £160 by your own car. That of course isn't taking into account of your car insurance, MOT and road tax, but you get the idea – it does cost more to be green. But, as a start, the Go Lakes Travel project is a step in the right direction; a marked sea change in the desire of the powers-at-be to really address the problems, difficulties and challenges of getting around and exploring one of the country’s favourite areas.